Third molars usually erupt between the ages of 17 and 26 years and commonly either fail to erupt on only partially erupt. Worldwide the prevalence of impaction is about 24% with lower teeth being more commonly impacted. While there is general agreement that third molars should be removed if pathology or symptoms the management of asymptomatic disease-free third molars is controversial. The aim of the review was to valuate the effects of removal compared with retention (conservative management) of asymptomatic disease-free impacted wisdom teeth in adolescents and adults. The Cochrane Oral Health’s Trials Register, Cochrane Central Register of Controlled Trials (CENTRAL), Medline, Embase, US National Institutes of Health Ongoing Trials Register, ClinicalTrials.gov, and World Health Organization International Clinical Trials Registry Platform databases were searched without restrictions. Randomised controlled trials (RCTs), if available with no limitation on follow up , and quasi-RCTs and prospective cohort studies with follow-up of five years or longer comparing removal (or absence) with retention (or presence) of asymptomatic disease-free impacted wisdom teeth in adolescents or adults were considered. 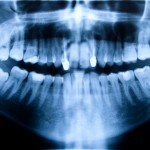 The primary outcome was health-related quality of life measures associated with retention or removal of wisdom teeth. Secondary outcomes included undesirable effects associated with third molar retention (infection, caries, periodontal disease etc) or associated with third molar extraction (alveolar osteitis, nerve injury etc) and costs. 8 reviewers independently selected studies with 5 reviewers independently abstracting data. The Cochrane risk of bias tool was used to assess RCTs and the Assessment Tool for Non-Randomized Studies of Interventions (ACROBAT-NRSI) for non-randomised studies. 2 studies (1 RCT, 1 prospective cohort) were included. One prospective cohort study, reporting data from a subgroup of 416 healthy male participants, aged 24 to 84 years, compared the effect of the absence (previous removal or agenesis) against the presence of asymptomatic disease-free impacted wisdom teeth on periodontitis and caries associated with the distal of the adjacent second molar during a follow-up period of three to over 25 years. Very low quality evidence suggests that the presence of asymptomatic disease-free impacted wisdom teeth may be associated with increased risk of periodontitis affecting the adjacent second molar in the long term. In the same study, which is at serious risk of bias, there is insufficient evidence to demonstrate a difference in caries risk associated with the presence or absence of impacted wisdom teeth. One RCT with 164 randomised and 77 analysed adolescent participants compared the effect of extraction with retention of asymptomatic disease-free impacted wisdom teeth on dimensional changes in the dental arch after five years. Participants (55% female) had previously undergone orthodontic treatment and had ’crowded’ wisdom teeth. No evidence from this study, which was at high risk of bias, was found to suggest that removal of asymptomatic disease-free impacted wisdom teeth has a clinically significant effect on dimensional changes in the dental arch. The included studies did not measure our other secondary outcomes. Insufficient evidence is available to determine whether or not asymptomatic disease-free impacted wisdom teeth should be removed. Although asymptomatic disease-free impacted wisdom teeth may be associated with increased risk of periodontitis affecting adjacent second molars in the long term, the evidence is of very low quality. Well-designed RCTs investigating long-term and rare effects of retention and removal of asymptomatic disease-free impacted wisdom teeth, in a representative group of individuals, are unlikely to be feasible. In their continuing absence, high quality, long-term prospective cohort studies may provide valuable evidence in the future. Given the lack of available evidence, patient values should be considered and clinical expertise used to guide shared decision making with patients who have asymptomatic disease-free impacted wisdom teeth. If the decision is made to retain asymptomatic disease-free impacted wisdom teeth, clinical assessment at regular intervals to prevent undesirable outcomes is advisable. This Cochrane review is an update of a review first published in 2012. This version of the review has sought to include non-randomised studies widening its scope to include prospective cohort studies of 5 years duration or more. While this extension of the scope has added one additional study the quality of both included studies is low to very low providing insufficient evidence on which to guide clinical practice. So despite an ongoing controversy about whether to remove these impacted teeth we still lack high quality research to guide clinical practice. The reviews discussion provides some wider background regarding guidance documents and other relevant research and it is worth noting though interestingly not mentioned in this review that NICE (National Institute for Health and Care Excellence) are currently in the process of reviewing their technical guidance on Prophylactic removal of impacted third molars which is anticipated to be published in June 2017. Ghaeminia H, Perry J, Nienhuijs MEL, Toedtling V, Tummers M, Hoppenreijs TJM, Van der Sanden WJM, Mettes TG. Surgical removal versus retention for the management of asymptomatic disease-free impacted wisdom teeth. Cochrane Database of Systematic Reviews 2016, Issue 8. Art. No. : CD003879. DOI: 10.1002/14651858.CD003879.pub4. Cochrane Oral Health Group Blog- Should asymptomatic disease-free impacted wisdom teeth be removed? Insufficient evidence! NICE – Prophylactic removal of impacted third molars.